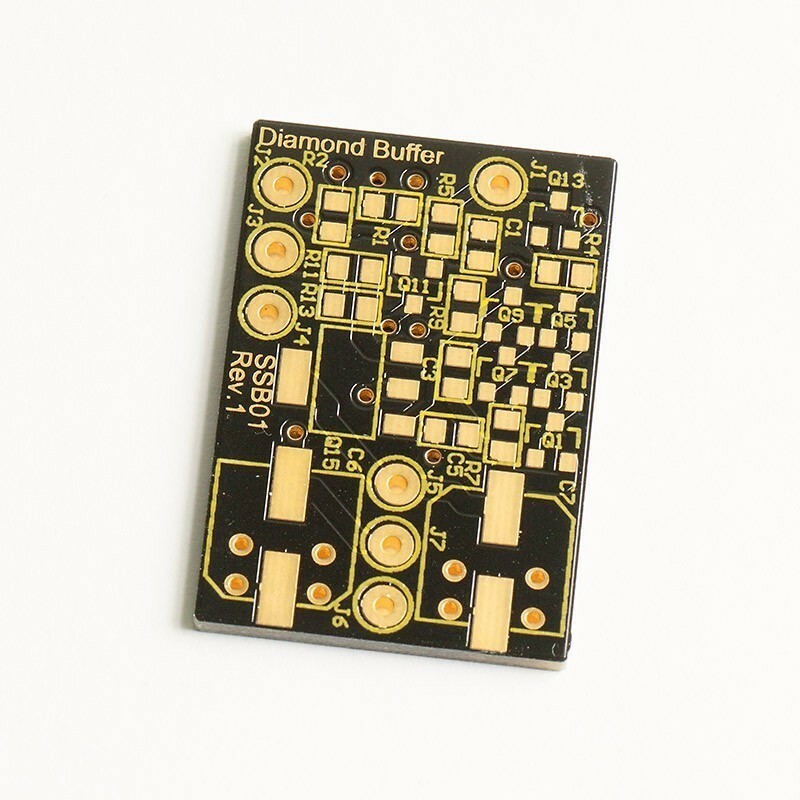 A so called diamond buffer with the gain of 1. The Sjöström Super Buffer can be used in any hifi equipment. People have used them in CD player tweaks. The pcb has four layers and parts on both sides. 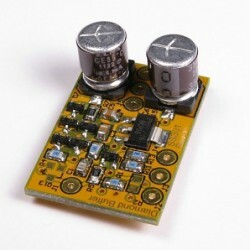 The soldermask is black with yellow print. All pads have a layer of pure gold. It's an unpopulated pcb.